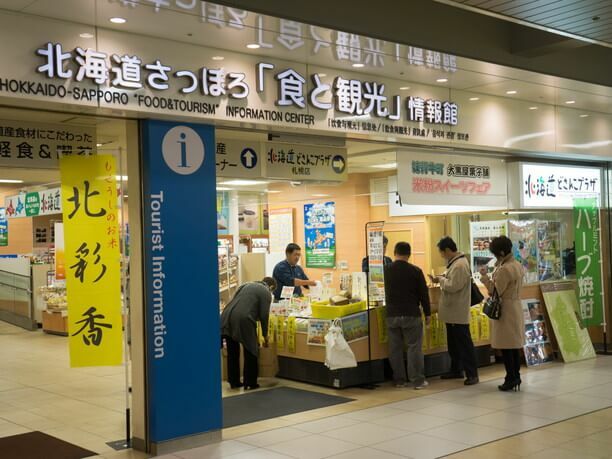 There is Dosanko Plaza inside the Hokkaido-Sapporo “Food & Tourism” information center (nickname: Kitabel) in the north exit of Sapporo Station. 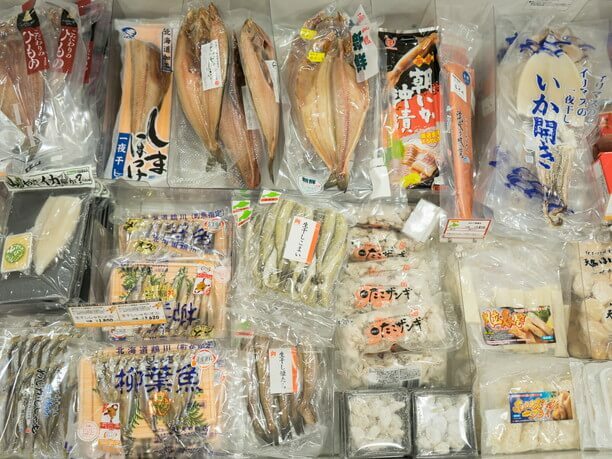 About 2000 items of specialities and processed items are lined up from various places from Hokkaido. 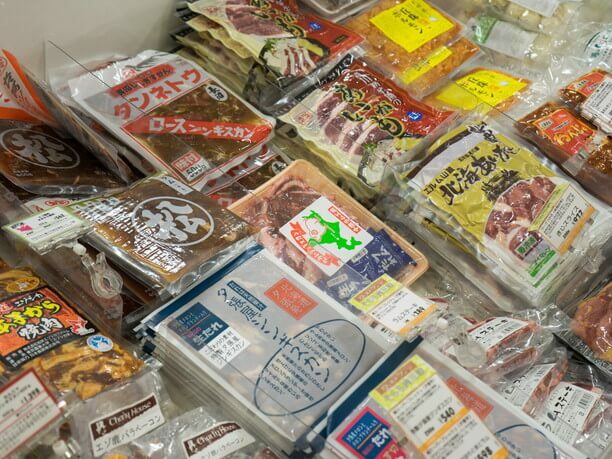 There are also northern high-grade foods by food supporters. “Food Supporters” means who are cooperating to PR and polishing the local products. It’s mainly made up of chefs who are from Hokkaido and are active in the metropolitan area. 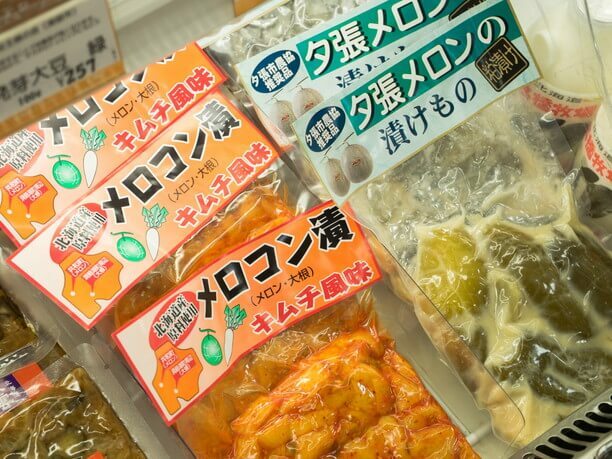 Hokkaido products recommended by food supporters… How would you like to get them for souvenirs? 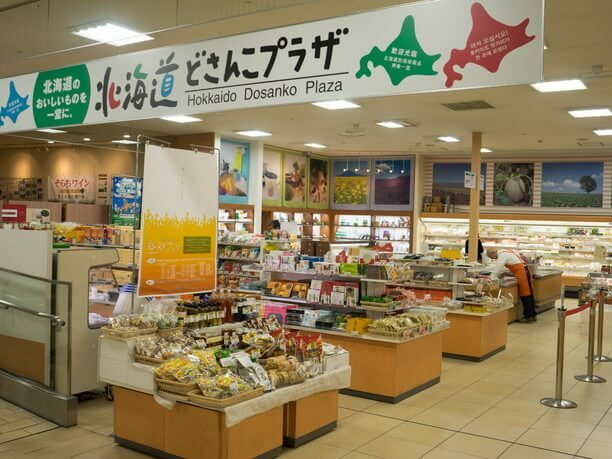 In addition, Dosanko Plaza offers “Hokkaido cosmetics” that use Hokkaido-made ingredients as materials. There are also many new products that you cannot overlooks elsewhere so much, so you cannot miss it! This item was born at Farm Designs in Akkeshi, Hokkaido. 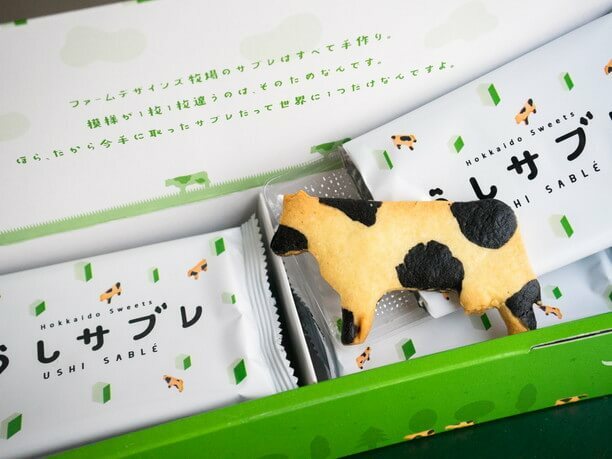 The handle of the cow is different because it’s handmade one by one. You can enjoy a solid texture and the taste of homemade cookies. This is rice cracker. 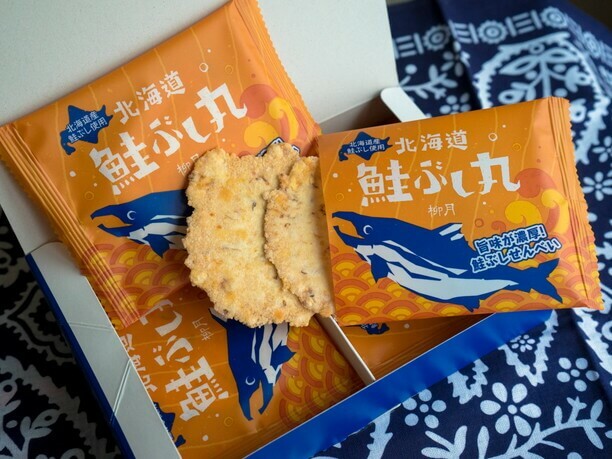 Its sweetness is stronger than bonito flakes, and it features flavor and sweetness without the habit. You can enjoy a crisp texture. 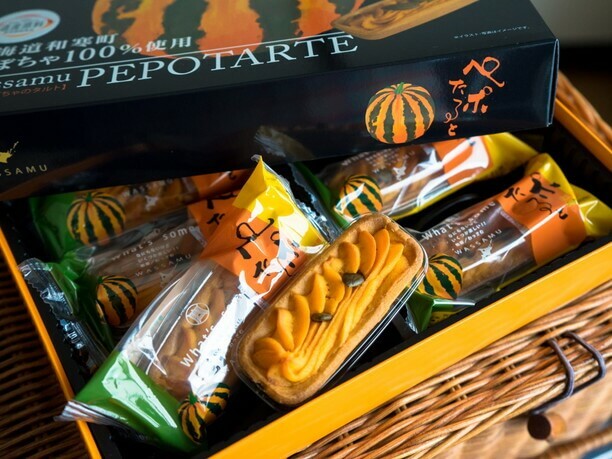 Stripe-pepo is a pumpkin mainly for eating “seeds”. Unlike common pumpkin, its seeds don’t have hard shells, and the taste is rich like nuts. 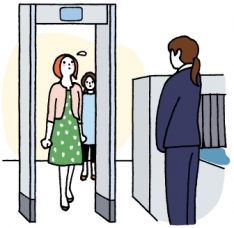 When entering the store from the concourse of the Sapporo Station, there is a confectionary corner on the entrance side. There are vegetables and frozen ingredients in the inner part, and dairy products at the end. There are alcohol corner when going to the right from there, and a cosmetic corner on the left. 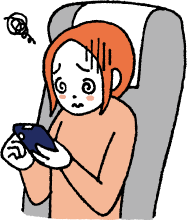 From the fact that the products in the Hokkaido area are the majority, there are rare products that surprised people who travelled. 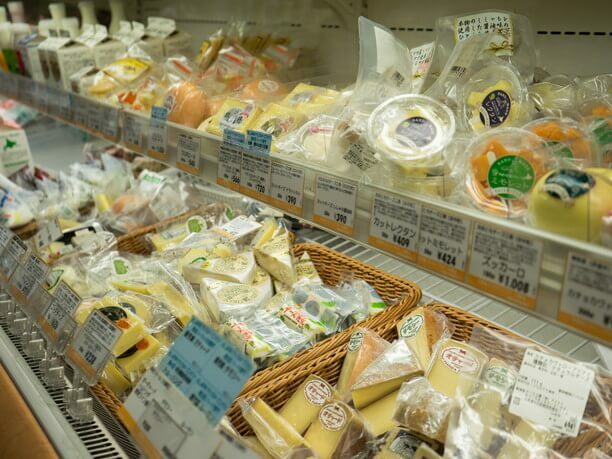 In the dairy product corner, products that make use of Hokkaido materials such as cheese and yoghurt are lined up. It’s nice for souvenirs, but also fun to buy and taste it at the hotel after having dinner. There are many kinds of Genghis Khan in the freezing corner. 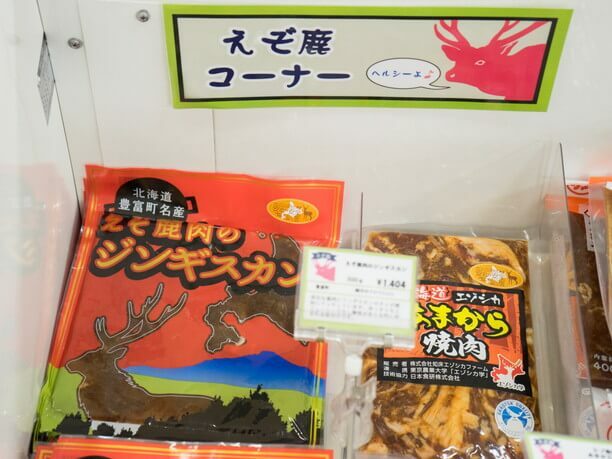 You can taste the venison’s Genghis Khan in only Hokkaido. 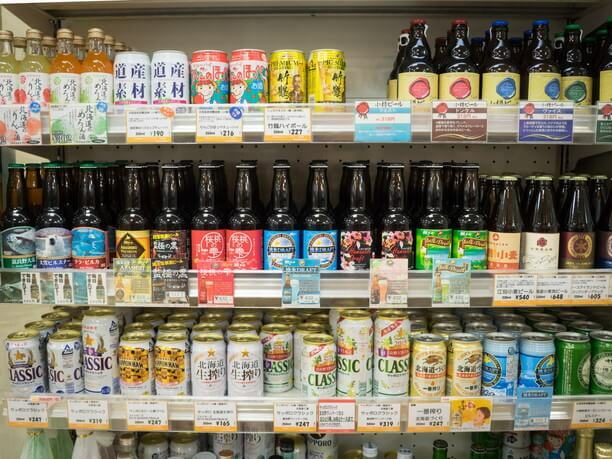 In the alcohol corner, there are many from classic to distinctive ones including beer, sake, cocktails, etc. 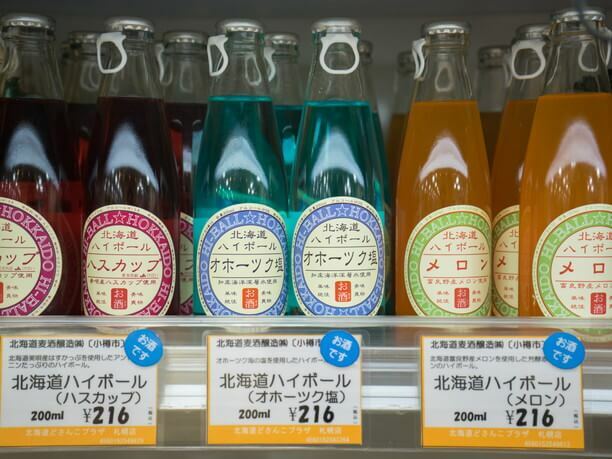 Recently, a highball (a whisky with soda) is colorful like a cocktail. You can enjoy the unique flavors using haskap and melon. It’s very convenient to visit on the way home. 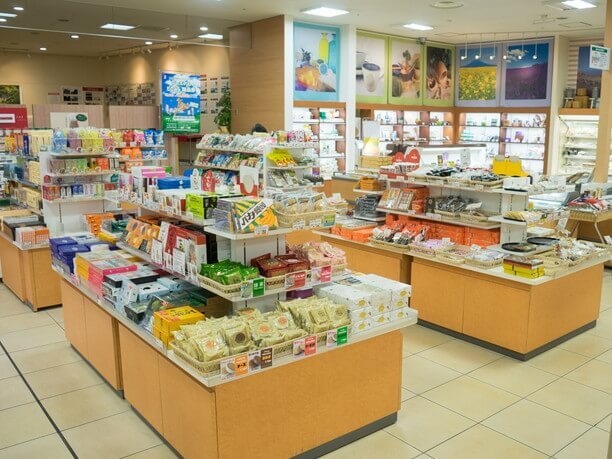 There are many Hokkaido cosmetics available in plaza here. 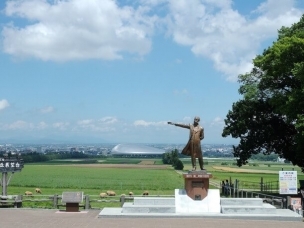 Goods which can only be purchased in Hokkaido region are enriched. There are plenty of local products that you cannot usually see. 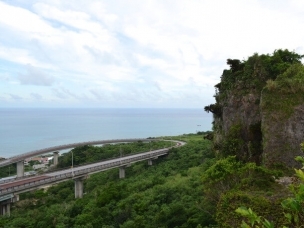 The genre is wide, so you can enjoy not only for souvenirs but also between travel and sightseeing. Not only tourists but also many local customers visit there, you can know the taste loved by local people.